Jack O'Brien grows up in 1950s Texas with a caring mother and a stern father. 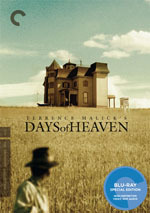 From 1973 to 2010, Terrence Malick directed a mere four movies. In 2011, he released The Tree of Life, his second Oscar Best Picture-nominated effort, and apparently this unleashed a creative rush. From Tree in 2011 to 2018’s Radegund, Malick made five films. Once known as a director who rarely put out new material, Malick suddenly became a filmmaking machine. Whether this abets Malick’s legacy seems up for grabs. While Tree got a good reception, the next three films received weak reviews, a complete shift from the consistent praise he earned for everything through Tree. Perhaps Radegund will reclaim Malick’s prior glories. It looks more and more likely that Tree will become his critical last gasp, though. Jack O’Brien (Hunter McCracken) spends his youth in small-town Texas circa the 1950s. One of three brothers, he grows up with a kind, nurturing mother (Jessica Chastain) and a tough, hard-edged father (Brad Pitt). These experiences stick with Jack. As an adult (Sean Penn), he continues to cope with the events that shaped him as a child. Have I ever written a more vague story synopsis? Probably, but this one comes close to my least-detailed overview. That’s because Malick never was one for plot-heavy movies. While I hesitate to call him a “style over substance” director, he clearly puts more of an emphasis on visuals and pacing than narrative specifics. This trend continues for Tree, a movie with nothing one could call an actual “plot” – and the narrative elements I describe above don’t arrive until we’ve already made a considerable dent in the film’s running time. Tree starts in the 1960s and alludes to the death of one of the brothers before it then flashes back - way, way back - to the creation of life on Earth. If that’s not a “WTF?” moment, what is? It all makes sense eventually, as the view of pre-history connects to Malick’s themes of water and nurturance, but the shift may jar the viewer. Tree follows this “origin story” with material more connected to the main characters, as we see Jack’s birth and early childhood. From there we eventually catch up with the young Jack we follow for most of the movie’s running time. Once this finally occurs nearly 50 minutes into the film, Tree becomes more conventional, but it clearly remains part of the Malick oeuvre. This means that the 1950s Jack narrative feels more traditional than the heavily atmospheric material that precedes it but Tree stays extremely impressionistic. To some degree, I appreciate this, as Malick clearly refuses to spoon-feed the audience, and at its best, Tree can become an evocative picture of childhood. As usual, Malick paints a film of indelible imagery that bolsters the effort. However, Malick’s stubborn refusal to embrace any true form of “normal” storytelling becomes wearisome after a while. Too much of Tree feels more like a collection of someone’s old home movies than an attempt to tell a coherent narrative. 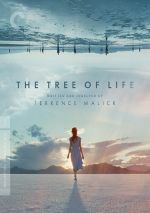 I get that Malick wants to deliver an experience more focused on themes than plot, but Tree never really manages to dig into its concepts in a compelling way. Sure, it tries to take on a broad array of elements, but it doesn’t expand them in a deep manner. This means it dabbles with various domains. We get notions of good vs. evil – mainly via the contrast between Jack’s mother and father – and Malick embraces water in a major way, as it operates consistently as a factor for positive and negative means. We also find a heavy religious component as well as morality in a flawed world. All of this seems intended to go somewhere, but it doesn’t. The themes feel like windowdressing more than anything else and they don’t contribute real meaning to the movie. In truth, Tree really just offers an artsy telling of a well-trodden story about life with a stern father. Leave out its impressionistic trappings and does it bring an effort that goes anywhere deeper than something like Great Santini? Nope – for all its pretensions, Tree doesn’t deliver the goods in terms of real introspection or meaning. It looks great and I respect its attempts to go somewhere different with its concepts, but the end result lacks true depth. The Tree of Life appears in an aspect ratio of approximately 1.85:1 on this Blu-ray Disc. Expect a stunning visual experience. From start to finish, the film looked great. Nary a sliver of softness arose here, so the film appeared accurate and well-defined at all times. Jagged edges and moiré effects remained absent, and I saw no signs of edge haloes or digital noise reduction. Print flaws also failed to impact this clean presentation. Much of the film opted for a blue/teal tint, but the palette allowed for a wide variety of other hues – especially in the “creation of life” sequences, which boasted a broad array of tones. The Blu-ray depicted these well and gave them fine range and impact. Blacks seemed deep and dense, while shadows looked smooth and clear. This turned into a top-notch image. Almost as good, the film’s DTS-HD MA 5.1 soundtrack brought a lot to the package as well. Unsurprisingly, the aforementioned “creation of life” scenes fared best, as they formed a lively, vivid soundscape that spread a lot of audio around the room. Other segments lacked the same impact, but the mix still managed to form a broad, involving sense of the environment. Music also spread to the various channels in a vivid manner to help make this a strong soundfield. Audio quality held up well, with speech that seemed natural and concise. Music came across as lush and rich as well. Effects delivered strong range, with clean highs and deep bass. During a smattering of scenes, the low-end response brought a serious bang, and these elements remained warm and tight. The audio suited the film. How did the Criterion Blu-ray compare to the original 2011 release? The Criterion release offered “downgraded” audio, as it replaced the 2011 disc’s 7.1 mix with a 5.1 version. That seemed like a minor disappointment, but in execution, both tracks sounded similar. The 2011 Blu-ray looked amazing, and the Criterion release kept up that high standard. Indeed, the new 4K transfer might offer slightly superior visuals, but given the excellent quality of 2011 disc, any improvements feel marginal at best. As impressive as the Criterion package looked/sounded, it didn’t deliver an upgrade over the 2011 release. This Criterion release includes two separate editions of the film. In addition to the 2011 theatrical version (2:19:05), we get an extended cut (3:08:41). That means nearly 50 minutes more Tree, an expansion of almost 36 percent. Malick left the famous “creation of life” segment alone, and the movie’s first segment presents only minor additions, most of which show more of the Sean Penn character. Whereas “creation of life” ends at 37:09 theatrical, it concludes at 42:05 extended. The two cuts largely remain the same after that through the 1:04:52 mark in the extended, right before the scene in which Jack’s dad plays the organ. Through this point, the extended version runs five minutes, 51 seconds longer than the theatrical edition, so during the 22 minutes after “creation” concludes, we find less than a minute of extra material. At this point, the movie starts to expand more, as the relevant chapter concludes at 1:20:45 vs. 1:09:39 for the theatrical version. This means Chapter 8 alone brings an added five minutes, all of which shows more of adolescent Jack as well as information about his father’s life. Matters continue to grow gradually from there. Chapter 9 gets us up to 13:37 in extra material, and by chapter 12, the extended cut has expanded to an additional 32:47. The final one-third or so of the film fills in the remaining 16:49, though the “older Jack” scenes toward the end remain largely unchanged. What do we get from all this new footage? Nothing that changes the movie in a substantial way, though we do see more of the relationship between Jack’s parents. Not present in the theatrical cut, we see Jack’s maternal uncle here and also get scenes like one in which a tornado hits town. We learn of Jack’s problems in school and other behavioral issues, concerns that get portrayed in a much more concrete manner here. This means we see measures the parents take to help Jack and some of his life developments absent from the theatrical. The extended version also spells out some elements of the mother/father dynamic left out of the original version. While the added material doesn’t change Tree into a traditional narrative, it does feel a little less impressionistic. As noted, it gives us character information not found in the theatrical version, and these moments make the movie seem more concrete - but just a little, as the film remains pretty abstract overall. I think this leaves the extended cut as the less satisfying of the two. It doesn’t tighten up the narrative enough to please viewers turned off by its esoteric nature, and fans of the movie’s vague nature probably won’t like the more concrete feel. Though I’m sure those who already enjoy Tree will get a lot more from the extended cut. As implied, the longer version doesn’t suddenly make a loose tale taut, and at more than three hours, this could be an endurance test for those without an affection for Malick’s style. Although I doubt established Tree fans will prefer the extended cut, I think it’s worth their while to give it a look. I might suspect they’ll not love the more concrete tone it brings to the film but they should enjoy the chance to see an alternate version. In addition to the film’s trailer, we find a program called Exploring The Tree of Life. It goes for 29 minutes, 55 seconds and includes comments from producers Dede Gardner, Bill Pohlad, Sarah Green, Grant Hill and Nicolas Gonda, senior visual effects supervisor Dan Glass, visual effects consultant Douglas Trumbull, editor Mark Yoshikawa, production designer Jack Fisk, costume designer Jacqueline West, cinematographer Emmanuel Lubezki, and composer Alexandre Desplat, filmmakers David Fincher and Christopher Nolan, and actors Brad Pitt, Sean Penn, Jessica Chastain, Laramie Eppler, Hunter McCracken, and Tye Sheridan. “Exploring” looks at various facets of the production, while Fincher and Nolan add appreciation for director Terrence Malick’s work. This doesn’t quite become a great behind the scenes show, but it adds a bit of information to the mix. While the trailer and “Exploring” appeared on the prior Blu-ray, the remaining extras are new to the Criterion set, and we find a 2018 Interview with Jessica Chastain. In this 18-minute, 37-second chat, the actor discusses how she came to the film, working with Malick and her co-stars, and various other experiences during the shoot. Chastain delivers a lively, informative look at her time on the film. Under Visual Effects, we get a 22-minute, 30-seconds interview with senior visual effects supervisor Dan Glass. Unsurprisingly, he covers the movie’s effects as well as his collaboration with Malick. Inevitably, this becomes a largely technical piece, but Glass goes over the topic well. Music goes for 18 minutes, 53 seconds and involves critic Alex Ross. As expected, he talks about the movie’s score. Ross brings us an insightful look at the music. A video essay called Cinematography fills 16 minutes, 26 seconds. Narrated by critic Benjamin B, it also includes some remarks from Lubezki, Fisk, Yoshikawa, Steadicam operator Joerg Widmer, and 1st camera assistant Erik Brown. To the surprise of no one, the show examines camerawork and visual choices. Recorded over phone calls, the poor quality of the interview audio creates a distraction, but the information provided offers good information. Another video essay, All Things Shining splits into two parts. These occupy a total of 24 minutes, three seconds. In these clips, Matt Zoller Seitz offers his take on the movie, with references to influences and related domains. He brings an insightful view of the film. Finally, we get a booklet. It includes photos, credits, and essays from critics Kent Jones and Roger Ebert. The booklet delivers a fine addition to the set. As much as I respect the cinematic ambition of The Tree of Life, the end result seems too formless. The movie offers an impressionistic view of childhood that falls short of the depth and meaning it aspires to impart. The Blu-ray boasts excellent picture and audio as well as a good roster of supplements led by an extended cut of the film. Tree remains a stunning visual package but the end result leaves me cold.